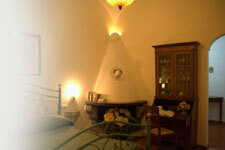 Villa Gabrisa Positano - Home - Luxury 4 star hotel and restaurant on the Amalfi Coast - formerly a noble family villa. Welcome to the Villa Gabrisa 4 star hotel in Positano, a luxury former noble family villa now converted into top quality Amalfi Coast accommodation with in house restaurant and breathtaking panoramic sea views. The Villa Gabrisa has a homely appeal that sets it aside from many other 4 star hotels in Positano, having been originally constructed as a holiday residence for the celebrated Italian Rispoli family. Divided into three floors, all rooms have a balcony or a terrace overlooking the sea and with only nine rooms in total, each and every guest is accommodated with ease and aplomb by our amiable and good humoured team of staff and management. The beautiful Amalfi Coast town of Positano has attracted visitors from all of Italy since long before the days of the Rispoli family and, now a renowned seaside destination the world over, this once quaint fishing village has become one of Italy’s top holiday resorts and therefore also the home of some of the country’s finest and most famous luxury hotels. For this reason in particular, the modest and homely Villa Gabrisa is proud to be ranked the third best hotel in Positano by independent travellers*. There is no form of advertising better than personal recommendation and for this reason you can be fairly certain of quality accommodation and service here at the 4 star Hotel Villa Gabrisa Positano. Take our Virtual Tour, read the reviews and then check out our rates and availability via our Online Booking area, and decide for yourself if it all adds up to a great value for money break on the stunning Amalfi Coast in southern Italy!